In regard to clinical expertise and scientific research achievements, I excel in the diagnosis and treatment of gastrointestinal tumors, chronic gastritis, gastro-esophageal reflux disease, functional dyspepsia, peptic ulcer disease, inflammatory bowel disease, etc. I am also skilled in the endoscopic diagnosis and minimally invasive therapy as well as PET/CT, CT, and MR imaging diagnosis. My research area is the carcinogenesis mechanism of gastrointestinal tumors and their precancerous stages. Recently, I have been dedicated in unraveling the cause-and-effect relationships between Rab25 gene and gastric carcinoma in terms of tumor glycolysis and made large achievements. I and my teammates initially identified the genomic position of human Rab25 promotor and first proposed the mechanism regarding PKA regulation of Rab25 genetic expression in gastric cancer cell line AGS.The results were published inInt J Biochem Cell Bioland appraised highly by international researchers. They thought our results can be seen as a major breakthrough in the domain of regulatory function of Rab25, which has laid sound foundations for the further research on the structures and functions of Rab25. Since the year 2009, altogether 15 peer-reviewed articles have been published in SCI journals with total impact factor 56.383.Thearticle entitled Interleukin-1B and interleukin-1 RN polymorphisms and gastric carcinoma risk: a meta-analysis has been incited for 64 times (up to April 2, 2016).And 14 peer-reviewed articles have been published in Chinese scientific journals and 1 article in EI journal. And 6 chapters of scholarly books were published. The project “Cyclin E2 gene expression in gastric carcinoma” was funded by scientific research department of Shanghai Jiao Tong University School of Medicine from the year 2007 to 2009; the subsidiary project “lncRNA regulation of mRNA expression in gastric cancer cells” was funded by Chinese Ministry of Health from the year 2011 to 2014; and the project “Study of the mechanism: Rab25 gene regulating gastric carcinoma glycolysis pathway” was funded by Shanghai Science and Technology Committee (14ZR1425100) in the year 2014. I am the editorial board member appointed by World Journal of Meta-analysis,Gastrointestinal Tumor, and Austin Journal of Gastroenterology. I was invited as peer reviewer many times by international journals such as PLoS ONE, Cytokines, DNA and Cell Biology, Tumor Biology, and Journal of Cancer Research and Clinical Oncology. In 2014, I was listed in the national science and technology plan expert database service system (https://expert.most.cn). In regard to teaching practice and educational research achievements, I have an immense passion for clinical teaching for medical school students. As deputy director of department of Clinical Diagnostics, I have long been dedicated to the various teaching practices and reforms such as English-Chinese bilingual teaching, problem-based learning (PBL), case-based learning (CBL), multi-curricular integration teaching, evidence-based medicine, undergraduate education, postgraduate training, objective structured clinical examination (OSCE), etc. I have been involved in clinical teaching for 25 years for undergraduates. 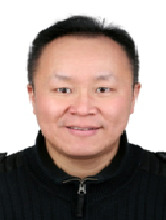 I have incessantly delivered English-Chinese bilingual lectures of clinical diagnostics and Internal Medicine courses for postgraduates and graduates at Shanghai Jiao Tong University School of Medicine since 16 years ago and thus accumulated abundant bilingual teaching experiences. All the lectures were highly appraised by students and colleagues alike. I have initiated lots of educational research projects and presided over quite a few curriculum construction projects at different levels — nationally, municipally, regionally, or at university. I was awarded several educational honors. The curriculum Clinical Diagnostics was appraised as one of the Best Municipal Teaching Honor Courses in 2004 and Best National Bilingual Teaching Honor Courses in 2007. I was also gotten variousRemarkable Educational Achievement Awards from Shanghai Education Committee (in 2005), Education Branch of Chinese Medical Association (2012), and/or Shanghai Jiao Tong University. I also have initiated and promoted English teaching modality of PBL. The distinguishing characteristic of my-initiated-PBL modality is epitome of curricular integration ideology and evidence-based medicine philosophy.